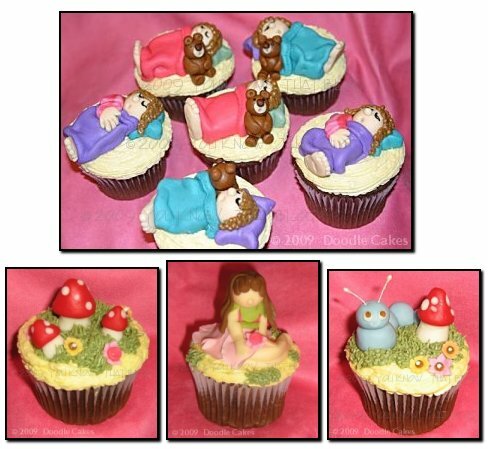 I have 2 friends (one IRL [Doodle], one Bloggy [Saucy]) who are awesome cupcakers – this is an homage to them! My eyes roll with glee! Loopy and I just rolled in from Calgary… we drove all day, it’s almost midnight… but you’ve lured me in under the guise of cupcaking and poetry and the idyllic 5-7-5 rapture. I will dream up something whilst I snooze and have it up by noon, I promise! .-= Saucy´s last blog ..big city cupcakes vs. original cupcakes =-. Cupcakes are amazing! They are like little mini works of art, sometimes it seems a shame to eat them but they are also quite yummy, that’s my favourite kind of art! cupcakes make my mouth water. .-= storyteller at Small Reflections´s last blog ..Wonderfully Whimsical Watery Wednesday … =-. .-= stephanie (bad mom)´s last blog ..this post brought to you by ___________ =-. Just posted my first silly haikus — gosh! This is fun! .-= Liz in Virginia´s last blog ..Silly Haiku Wednesday =-. Whew! I almost didn’t make it. I wanted to go in today and help my teacher set up our classroom (school starts on Monday!) Of course, I *know* that since you have started giving us ample warning for the next week’s theme, Jenn, that I *could* schedule my Silly Haiku Wednesday posts. But that would be *too easy*, wouldn’t it? 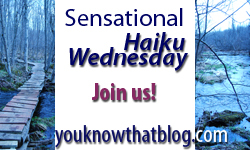 .-= Iva @ HorizontalYoYo´s last blog ..Silly Haiku Wednesday – Cupcakes! =-. .-= Mama Zen´s last blog ..GameStop’s Family Night In =-. Let me bake some now! .-= Melissa B.´s last blog ..Aloha, OBX! =-.